Volkovysk, Belarus. Recent excavation of the Jewish cemetery. 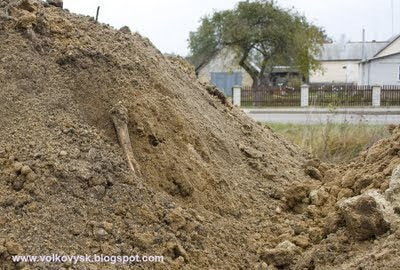 (ISJM) The blogger http://www.volkovysk.blogspot.com/reports (in Russian) that excavation for new water and sewer pipelines in the Belarus town of Volkovysk unearthed Jewish burials in the Jewish cemetery. The cemetery was not fenced nor marked, but it is presumed that local authorities had some knowledge of its location. The construction firm obtained all necessary city permits to conduct the work. The excavation was not illegal according to local standards. 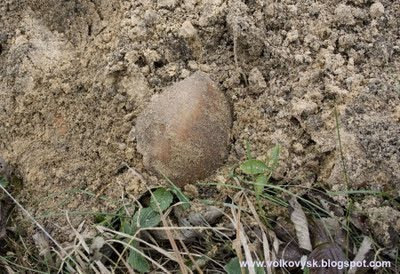 According to Yuri Dorn, Coordinator of Jewish Heritage Research Group in Belarus (JHRG) , there are about 20 gravestones still visible at the cemetery. The rest were used by the Nazis to pave a road to a local hospital. Presumably, most of those stones are still where they were placed in the road construction more than 60 years ago. 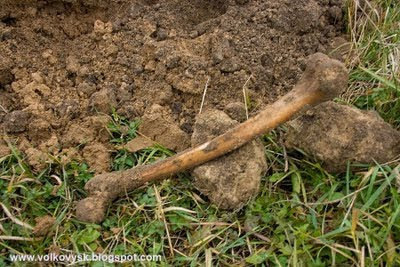 Tomorrow, the construction company plans to fill in the ditch with the new pipes, and to include the excavated bones. Jewish communal representatives are requesting that no action be taken until their arrival, so that reburial can be done under proper supervision. The JHRG will also try to arrange for a sign to mark the site. If they can get funds and permission, they will also erect a fence. Ideally, such intervention would be done proactively, not after the fact. But the reality of the situation - limited resources and many sites - makes this almost impossible in many cases. For now, probably the best thing for those outside of Belarus to do is to write to the Belorussian embassies in their countries expressing concern about the continuing desecration of Jewish sites, and to request an explanation about why Belarus has not adopted policies to document, protect and preserve Jewish cemeteries.